To play first-run movies, the historic East Burnside theater will also have to increase the price of their tickets. After almost two decades as a second-run theater, Laurelhurst Theater will screen first-run movies starting next week. First reported by The Mercury, the shift comes after 19 years of screening movies months after their initial release for a fraction of the price of a multiplex ticket. According to owner Prescott Allen, the change was inevitable. "It's just the writing on the wall," says Allen, who bought the 94-year-old theater in 1999 with co-owner Woody Wheeler. "All the movies that we want to show right now are on Blu-ray and Video on Demand before we can even get them." Allen says the decision has less to do with Laurelhurst itself than with the fading role of second-run theaters. "Fifteen years ago, there were 9,000 Blockbusters," he says. "Technology just changes things, and talking to studio reps, they don't book as many second-run theaters as they used to. As much as we like to be idealistic, sometimes you have to be realistic." The theater will start screening first-run movies next Friday, April 13. Until then, the theater will continue to screen Lady Bird and The Post. Allen says he can't yet confirm what movies Laurelhurst will play that first weekend. "There are not a lot of huge openings on that weekend, which is kind of nice—just to open up and it won't be the biggest blockbuster of the year," he says. "Not a soft opening, but it will be a little quieter." First run screenings come with tighter regulations from distributers. "Typically when it first opens up, the studio will want you to play it at all times available," says Prescott. "So we won't have quite as many movies showing at all times, that's probably one of the biggest changes." 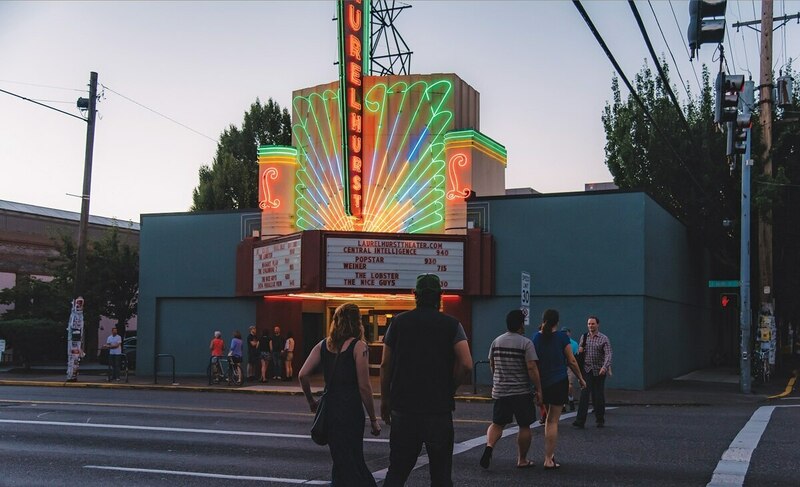 To play first-run movies, Laurelhurst will also have to increase the price of their tickets from $4 to $9, though on Tuesdays, tickets will only be $6. But Prescott says the movies Laurelhurst plays won't be that different—they'll just arrive months earlier. "Our goal in the past is playing films we want to see," he says. "Sometimes it's Hollywood films, sometimes its arthouse films and that's going to stay the same." Laurelhurst will take a break from hosting repertory screenings during the transition, but will start those again soon. "We realize it's a change for people," says Prescott. "But Portland itself has changed quite a bit and I think we've done what we can with second run and we're really excited to see what we can do with first run." See Related: We Visited Every Neighborhood Movie Theater in Portland—Here's a Rundown of the Best Cheap Seats. An Ag Science Company Decided to Launch a Cannabis Breeding program. Oregon Growers Revolted. 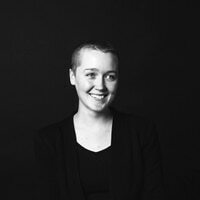 Shannon Gormley is originally from Baltimore, Maryland. She covers local and non-local music in Portland, and writes for Baltimore City Paper whenever she's visiting her hometown.